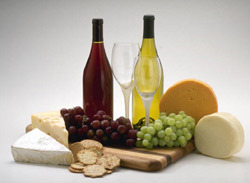 Emerald Coast Wine Cellars is the exclusive outlet for Chautauqua Wines, along with Muscadine syrup, grape juice, jams and jelly, candles, skin care items, grapeseed oils, wine gifts, and stemware. They are a sister retail wine store to Chautauqua Vineyards and Winery in DeFuniak Springs. We recommend a visit to DeFuniak Springs and Chautauqua, but even if you can't make it, this retail outlet can at least let you try the products. Destin is about 30 minutes south of DeFuniak Springs. Their two story building in Destin across from the ocean is about a half hour south of Chatauqua Vineyards. Emerald is the color chosen to describe the colors of the Gulf of Mexico along this stretch of Florida beach. Destin is a major resort and tourist destination along the Florida gulf coast, and a vsit to this retailer can be a nice supplement to your beach vacation. 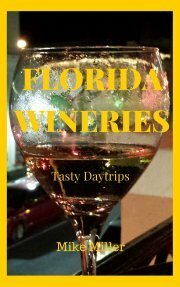 The types of wine you will find here include a wide variety of red and white wines, Sherry, Port, Cabernet, Merlot, Chardonnay, Zinfandel, and blackberry and blueberry wines. Their retail store is open for tasting and tours from 9 to 5. Tastings are free. For people interested in buying wine online, the store is set up for it. They also sell some of the nicest wine gift baskets in Florida. You can get a look at sample wine baskets on their website. Prices for wine are the same as at Chatauqua. The store is located in the Miramar Beach neighborhood of Destin.